Clint McKee and Fulton Armory know the M14 and they know it well, in fact they build some of the tightest and most accurate M14 style rifles available. When you purchase a complete Fulton Armory Rifle you are purchasing a rifle handcrafted by very skilled people. These are not mass produced firearms by any measure. FA also has outstanding service and support, they do business the old fashioned way and rely heavily on their reputation. Fulton Armory often gets a slight ding from purists who prefer forged receivers over cast receivers. I’m not sure this matters with today’s modern manufacturing methods but that’s a discussion for another page. Additionally about a decade and a half ago there were complaints about soft bolts. That has long since disappeared but internet posts don’t disappear and keep regurgitating. modernizing the M14 rifle. The 7.62x51mm NATO cartridge coupled with the M14’s reliable and robust design made the rifle superbly suited for long range target engagement. 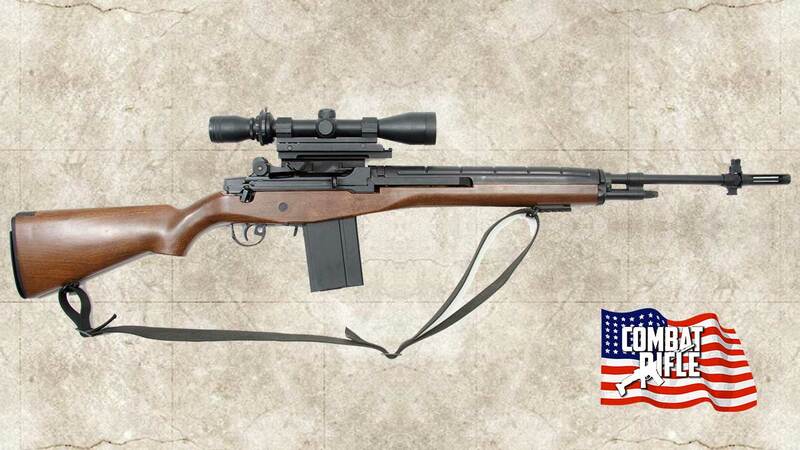 As part of the Arctic Rifle Program the M14 in its existing wood and synthetic stocked configuration was not well suited to be easily deployed in confined spaces and harsh environments. This prompted the SEALs to began searching for a more compact M14 for arctic warfare. After field evaluations the NAVY SEALs reported they liked the Sage aluminum chassis mod the best. 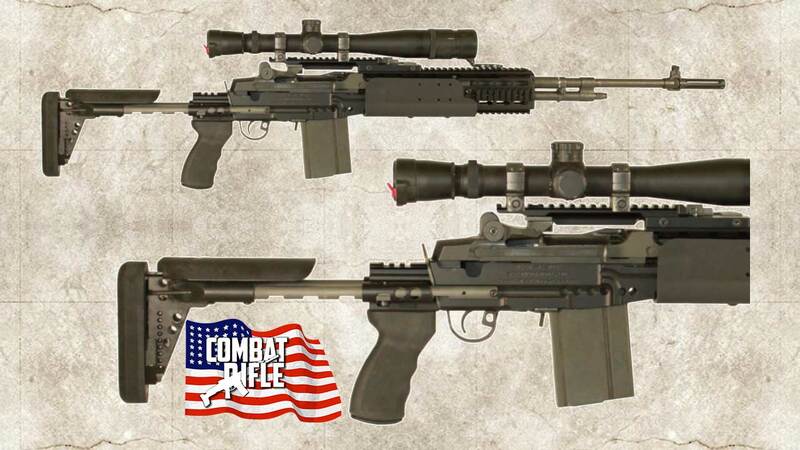 Through a combined effort of Crane and Sage, the M14 Enhanced Battle Rifle aka “M14 EBR” was born. 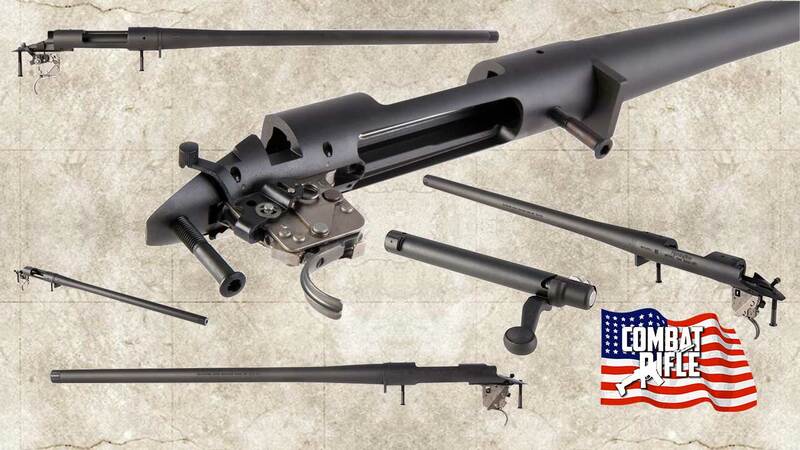 To date Sage International, Ltd. has supplied over 15,000 combined M14 and M1A1 EBR Chassis Stock Systems to the United States Armed Forces and commercial markets. SPECS: Overall Length Collapsed- 27.5”. Overall Length Extended- 33.5”. Weight- 5.1 LBS. Finish- Mil-Spec Hard anodize. I’m old enough to remember Jeff Cooper in the 1980’s and 1990’s passionately writing about the need for a “Scout Rifle” (Read the Definition of a Scout Rifle Farther Down). 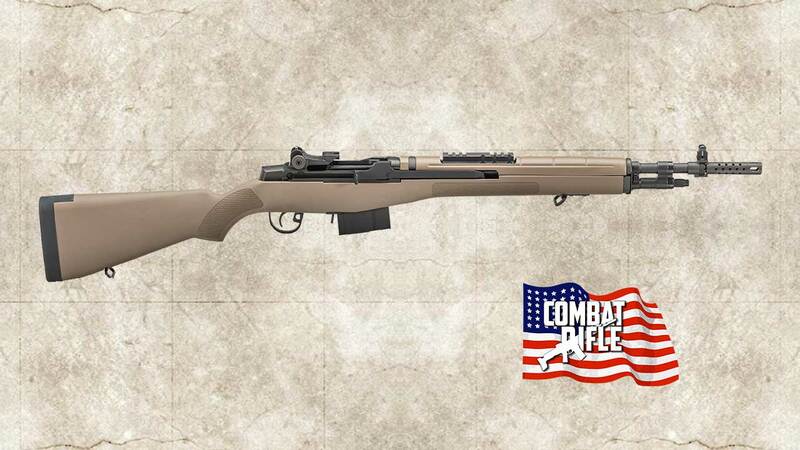 The Springfield Armory M1A Scout Squad Model Rifle is a departure from his definition in two significant ways. 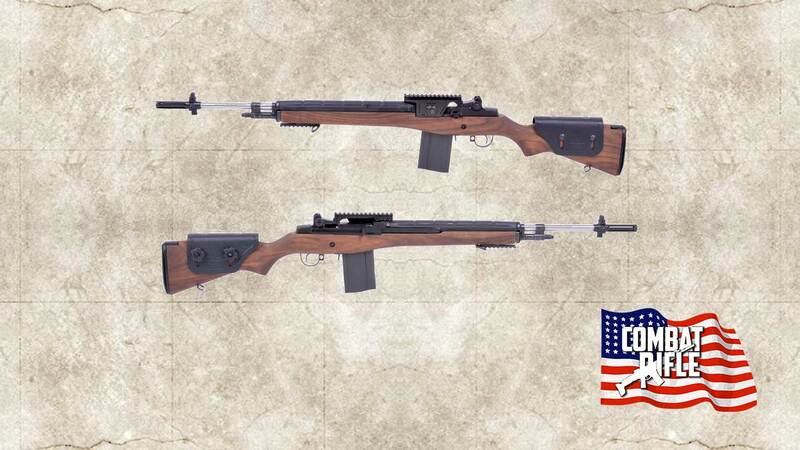 The Springfield Armory M1A Scout Rifle is semi-automatic, Jeff Cooper specified bolt action and the Springfield Armory M1A Scout Rifle weighs in at 8.8 pounds while Jeff Cooper specified the scout rifle weigh less than 6.5 pounds. Caliber: a standard chambering of .308 Winchester/7.62×51mm NATO or 7mm-08 Remington for locales that forbid civilian ownership of cartridges in chamberings adopted by military forces or for its “slightly better ballistics. As Cooper wrote, “A true Scout comes in .308 or 7mm-08. The .243 Winchester is an alternative for young, small-framed, or recoil-shy people, but needs a 22” barrel. Cooper also commissioned “Lion Scout,” chambered for the .350 Remington Magnum cartridge. Optics: a forward-mounted telescopic sight of low magnification, typically 2 to 3 power. This preserves the shooter’s peripheral vision, keeps the ejection port open to allow the use of stripper clips to reload the rifle, and eliminates any chance of the scope striking one’s brow during recoil. Cooper has stated that a telescopic sight is not mandatory.